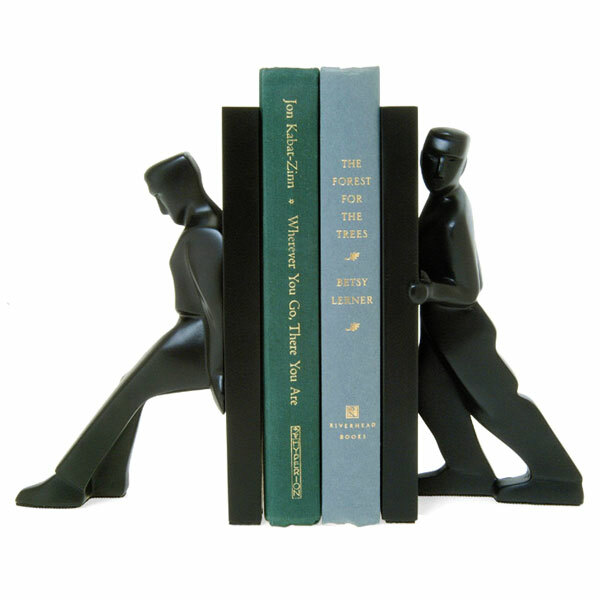 Designed by Chris Collicott, these bookend men will keep your favorite books in place. Approximaltey 8 inches high and made of stone and resin, they are avaialbe at Wrapables.com for $41.95. This picture shows the two sets “pushing” and “leaning” blended together.